Well, we did get some snow this past weekend... and I'm happy to report that everything made it through! I added some extra layers of Agribon over the ranunculus and anemone in the hoop houses since we were expecting lows in the single digits. 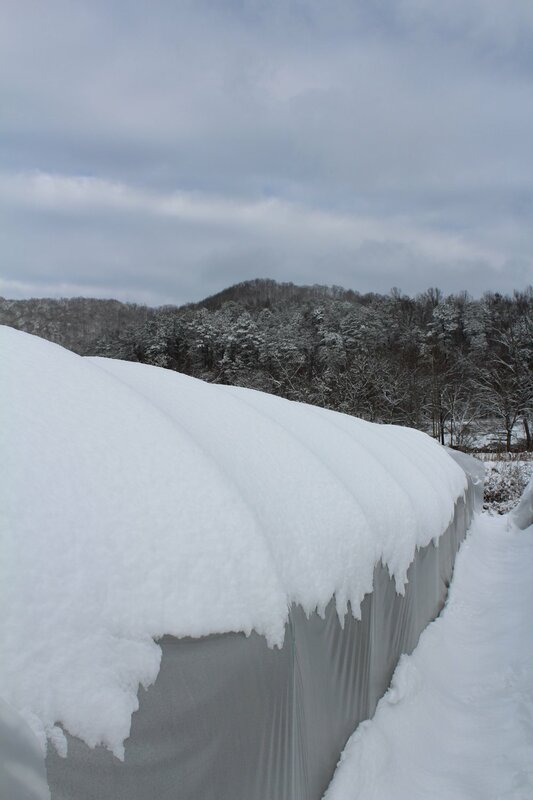 I knew there wasn't much to do for the field crops, except hope the snow would provide enough insulation (it did!). I even found a little surprise in the hoop house as I was uncovering everything... the first anemone bloom! 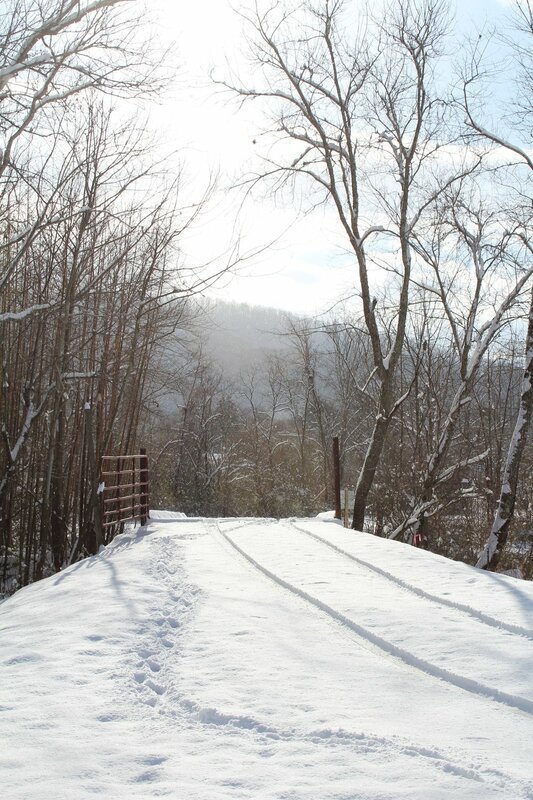 Hope your snowy days are filled with sledding hills, cozy fires and warm blankets.